Everyone would/should be familiar with Soursobs. Soursobs are a perennial plant that grow from bulbs in the soil. They are in abundance during the winter months but dieback as the weather warms . Beneath the ground the plant has around 20 bulbs. The leaves are trifoliate meaning the leaf is divided into three leaflets. 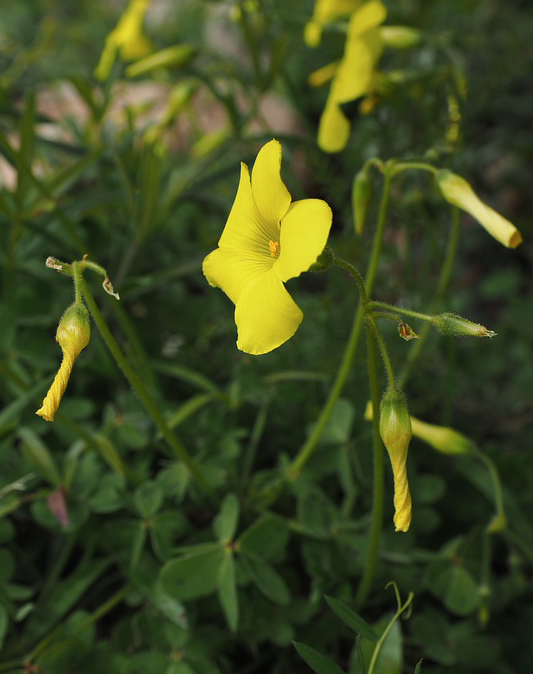 The stalks/stems rise well above the leaves, around 15-20cm. On the top of stem there are loose clusters of between 3-20 flowers which are bright yellow in colour becoming fused at their base. Each flower has five petals that open fully during sunny days and close at night or during dull periods. Although there are no real known medical uses,it is said that the bulbs have in the past been uses to treat tape worms and other worms.